Travertine tile cleaning can be a challenge and if you have it installed, you know what I'm talking about. Travertine tile has natural holes in them and comes with those holes filled with either resin or a grout. With time, the resin falls out or new holes open up. Either way, the travertine begins to trap dirt. We recommend to have your travertine tile deeply cleaned at least once a year. What we mean by deeply cleaned, is scrubbed with a soft bristled brush that can reach in between the grout lines and in any holes, to lift any dirt that has been trapped. 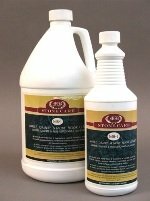 When either doing it yourself or having someone deeply clean your travertine tile, be sure to use a stone cleaner that is safe for marble surfaces. Travertine is chemically the same as marble (calcium carbonate) and the calcium will react with any acid, causing an etch mark, that can be costly to remove. 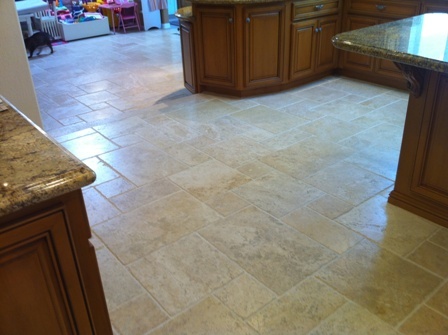 Travertine tile cleaning on a daily or weekly basis, we recommend using a neutral floor cleaner. Travertine tile cleaning is the same as cleaning any natural stone and isn't a hard task. 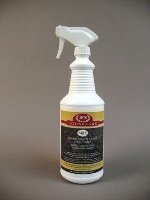 We always recommend neutral cleaners for all natural stone surfaces and that includes travertine cleaning. If your polished travertine floor tile is looking a little dull, it probably needs more than a cleaning. It may need to be re-surfaced, or honed and polished. Check out our travertine polishing page for more information on restoring the polished finish. The same polishing techniques for marble applies for travertine. 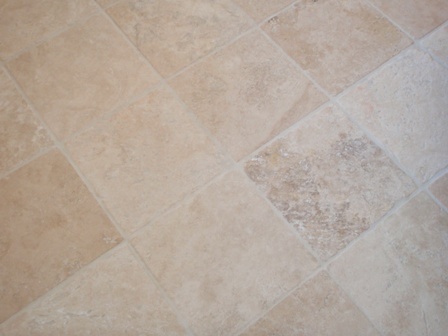 The most important thing you need to know about cleaning travertine is not to use strong chemicals. Acidic and even akaline chemicals will etch the travertine. 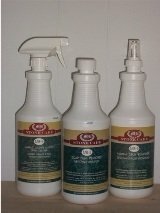 Vinegar is acidic and bleach is akaline, so you do not want to clean travertine with either one of these cleaners. In general, mopping your travertine floors regularly with a neutral floor cleaner and a flat mop, will be the best and easiest way to maintain your travertine floors. When cleaning your travertine floors, mop the travertine tiles with your neutral cleaning solution or warm water. After mopping, use a dry cotton or microfiber cloth to dry the surface of the travertine. Drying the travertine with the dry cotton or microfiber cloth will not only pick up the water, but any dirt still in the water. 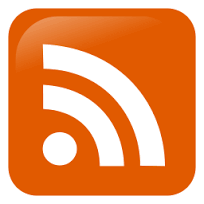 This is a very important step that most people don't do. When it comes to travertine tile cleaning or any natural stone and tile and grout, we strive to help educate our customers on the best protection they can have, helping them save time and money in costly restoration costs down the road.